A. No matter what time day or night, a steaming bowl of pho noodle soup is never hard to find in Vietnam. Pho is Vietnam’s unofficial national dish exported with pride all over the world. B. Thesis: Traditionally, pho noodle soup was eaten by Vietnamese people for breakfast, sometimes lunch, or anytime of the day. Pho is primarily served with either beef or chicken, it is a popular street food in Vietnam. C. Preview: Making pho is very easy, actually. Just know that your first attempt will be ok, and your subsequent pho pots after that will be pretty good. Then, the good stuff will start to happen. D. Credibility: I love pho. I wish I can eat pho everyday. A. The Vietnamese pho had been around over 100 years. It originated in the Nam Dinh province just southwest of Hanoi and then spread to other parts of the country. In 1954, under the Geneva Accords, Vietnam was split in two. To avoid communism, many northerners migrated southward, bringing their pho culture with them. In democratic South Vietnam, pho made differently from its conservative northern traditions. C. Ingredients and styles of pho noodle soup vary by region throughout Vietnam. Ga typically means that the dish contains chicken; Bo means the dish is prepared with beef. This recipes serving 8 to 10 peoples. Put the leg bones/ oxtails, beef plate into a large stockpot and add enough water to cover the bones. Bring to a full boil, removed it from the stove. The bones will have some impurities that need to be washed away, so once the water has boiled for 2-3 minutes, discard it and collect the bones in a colander. One by one, rinse the bones to remove any scum. The cleaner the bones are, the clearer the broth will be. After giving the stockpot a thorough cleaning, fill it with 2 gallons of water and bring to a boil along with the leg bones, oxtails, beef plate, and 2 tablespoons of salt. Skim the foam and fat off the surface as needed using a fine mesh skimmer. Meanwhile put the ginger and onion halves on a baking sheet and char them under the broiler until lightly blackened, about 7 to 10 minutes. Turn them over halfway through cooking. When cool enough to handle, rinse the onion and ginger under running water, using a knife to scrape away some of the charred surface. Cut the ginger into 3 pieces and toss it and the onion halves into the simmering broth, along with 1 tablespoon salt and the fish sauce. Put the star anise, cloves, and cinnamon stick in a small skillet and toast them on top of a stove burner over medium heat. Turn the spices a couple of times until they’re slightly darkened (3 to 4 minutes) and until you smell their aroma. Put the toasted spices and fennel seeds in a small square of double thick cheesecloth and tie the bundle with a long piece of kitchen twine. Add the spice bundle and the bay leaves to the broth, tying the end of the twine to the pot handle for easy retrieval. Let the broth simmer, uncovered, and skimming occasionally. After 4 hours, remove the oxtails, the beef plate, remove it from the broth and submerge it in a bowl of cold water for five minutes. This will keep the meat from discoloring and set aside. Let the broth continue to simmer. When the meat is cool enough to handle, pull the meat from the bones. Set the meat aside and return the bones to the broth. Continue simmering, uncovered, until the broth is rich and flavorful. Taste the broth and add more salt or fish sauce as needed. Meanwhile, soak the rice noodles in cold water for at least 20 minutes. Arrange the sliced scallions, cilantro, parsley, basil, bean sprouts, lime wedges, and chiles on a platter in separate piles. Bring a large pot of water to a boil and add the drained rice noodles. Give the noodles a quick stir and cook until tender but firm, about 1 minute. Rice noodles can quickly become gummy, so don’t let them overcook. Drain the noodles. Warm 6 large bowls by rinsing them with hot water and divide the noodles among the bowls. A. 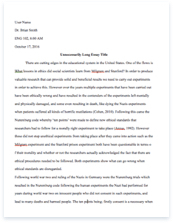 Review: In this speech I have shown you the history and recipes of how to prepared pho B. Restate-thesis: Now you can give it a try on making pho for your love one. C. Memorable ending: Thanks to my mom and my grandma for my family traditional pho.